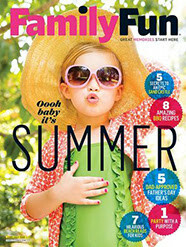 You can request a free one year subscription to FamilyFun Magazine from freebizmag.com right now. You will never receive a bill or be charged. I receive several free magazines every month from this site.